An air duct is a constant victim of all types of dirt, causing large amount of clogging. Should your ducts need cleaning, you can call Air Duct Cleaning Van Nuys to take care of it for you. We specialize in dealing with problems concerning air ducts, whether it is for the home or a public building. 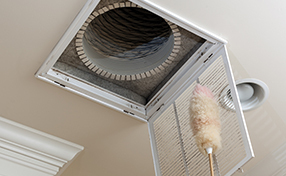 Our expertise with all kinds of air ducts allows us to deal with the clogging dirt in an efficient manner, which makes us a reliable service provider. but there is more to it than you think. While clogging is a common problem for most ducts, the source can be very different. One of these possible sources is a damaged filtering system, which controls the flow and temperature of air. Whatever the case may be, the direct effect it can have is on the atmosphere inside, and it will take a lot of work to restore the air to its clean state. That is where we come in. 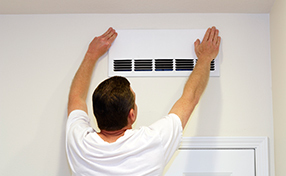 As a duct cleaning company, we not only have knowledge of how to clean ducts, but we also offer services in air filter cleaning, replacement and repair. We understand that filtering systems are linked to the ducts, which is why we can help you deal with your filters, as well. We have the right set of tools required for the job, so there is no need to worry. We also make it a point to always inspect your ducts first in order to determine the best course of action. 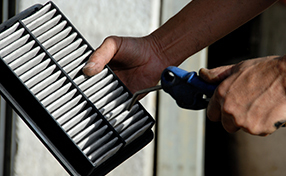 When it comes to your ducts and filtering systems, “Air Duct Cleaning Van Nuys” is at your service. If you are in need of our services, you can easily reach us via telephone or email. If you think your home’s air ducts are causing problems to the atmosphere, don’t hesitate to call us!